Make 4 fortnightly payments of $12.91 over 8 weeks and get it now! A classic baseplate compass that is used all over the world. Soft, easy-grip compass housing in DryflexTM. Built in magnifier. Map scales in millimetres, 1:50.000 and 1:25.000. Recommended for scouts, hikers and secondary school users and above. Silva is the leading manufacturer of compasses worldwide, starting in 1933 with the invention of the first liquid filled compass. The head office is situated north of Stockholm in Sweden. Leading export markets include the European Union and the USA. Help other shoppers choose the right product. Write a review and leave your feedback below. The final rating of this product is based on these values. 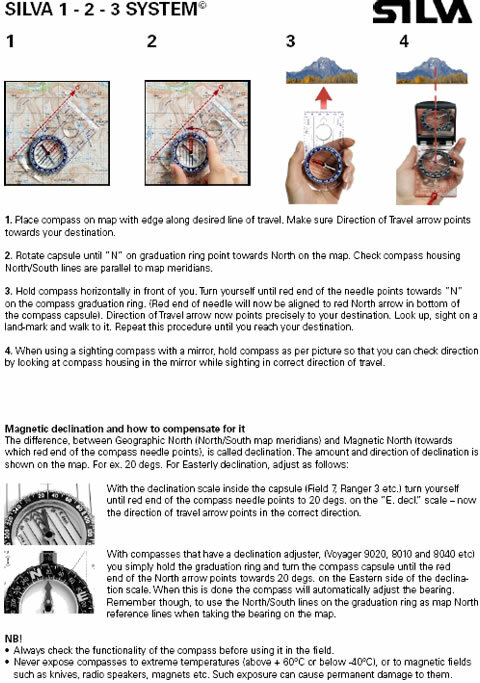 What a great compass, easy to use, lightweight and I was pleasantly surprised it glowed in the dark. Solid, sturdy compass. Does the job. I was given a Silva orienteering compass as a child and I still have it today - can't beat Silva for accuracy and durability. This Silva Ranger compass is made for the Middle Southern hemisphere region so is the correct compass for use in Australia and New Zealand. Wild Earth processed my order immediately and it was tracked to my door by Australia post in excellent time. Great product and great service.